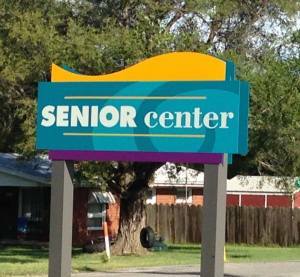 The Park City Senior Center is open to any Sedgwick County citizen age 55 or older. There is no membership fee. We welcome you to try one of our on-going activities and special events or just drop by for a cup of coffee. Opening hours are 8:30 am to 4:30 pm, but we have a variety of programs in the evenings and on the weekends. This is your chance to meet new people, learn new things, have fun, and stay healthy! 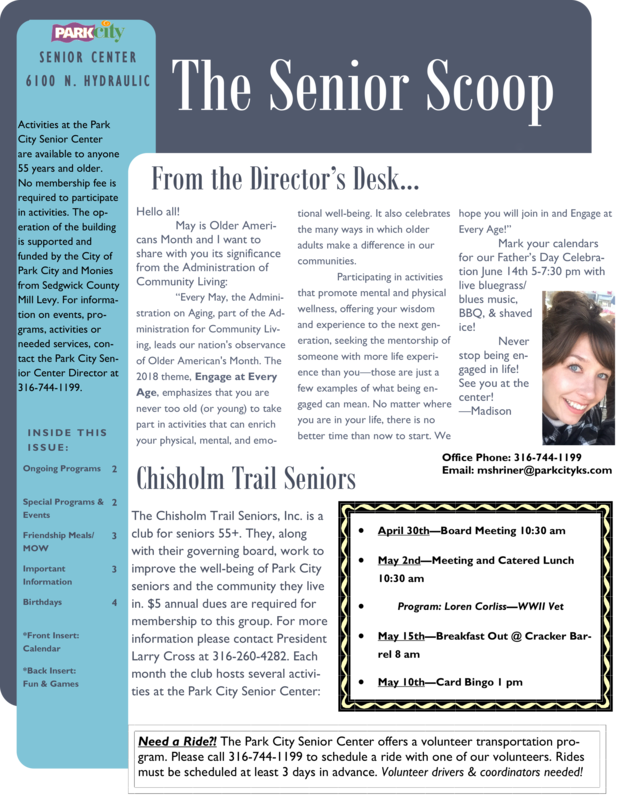 Check out our latest newsletter by clicking here. 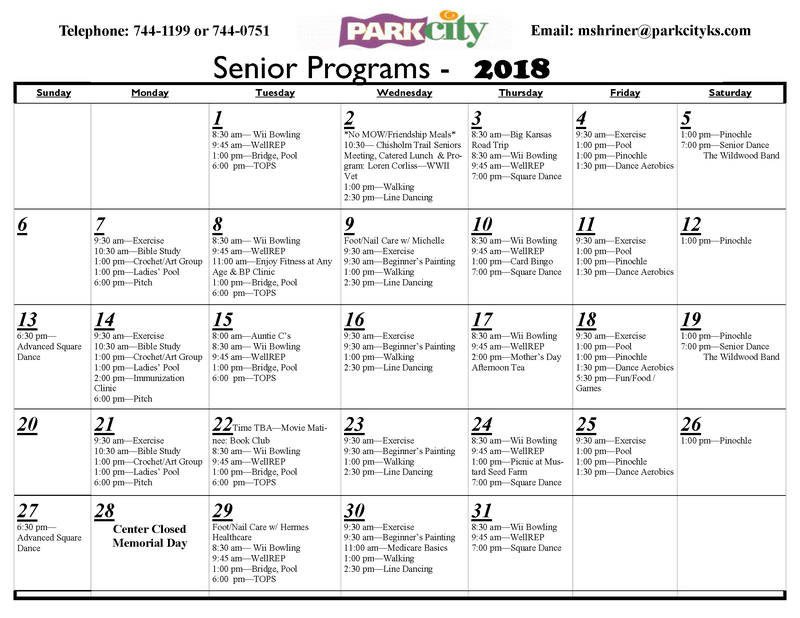 See this month's activities by clicking here.